Iran has dispatched humanitarian aid to flood-stricken countries in the Balkans, an official with the Iranian Red Crescent Society (IRCS) says. Shahabeddin Mohammadi-Araqi, IRCS deputy for international and humanitarian affairs, said on Saturday that the relief supplies were sent to Bosnia and Herzegovina as well as Serbia. IRCS was among the first organizations to act in response to the massive flooding in the Balkan countries, Mohammadi-Araqi said. He noted that the floods, which have been unprecedented in 120 years, prompted the International Federation of Red Cross and Red Crescent Societies to issue an emergency appeal for help. The Iranian Red Crescent responded to the appeal by providing financial assistance and essential supplies for those affected, including household items, foodstuff, and emergency shelter, the IRCS official added. Recent record rainfall has caused historic floods in Bosnia and Serbia, causing 50 deaths and forcing tens of thousands to abandon their homes in the Balkan Peninsula. The flooding forced the governments of Bosnia and Serbia to declare a state of emergency on May 15. 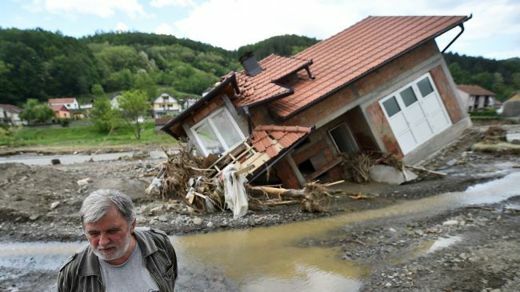 According to latest figures released by the European Bank for Reconstruction and Development (EBRD), the damage from the floods in the southeastern European region could cost some three billion euros (USD four billion).